Your itinerary includes some good beach time at Manly Beach and Clovelly Beach. 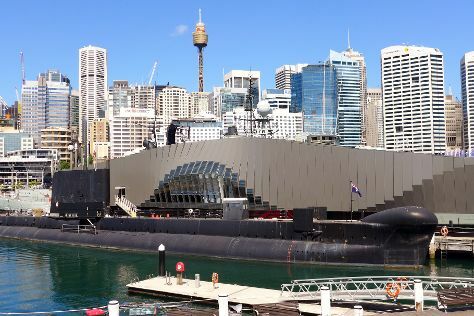 You'll explore and learn at Australian National Maritime Museum and Powerhouse Museum. Explore the numerous day-trip ideas around Sydney: Blue Mountains National Park (Pulpit Rock Lookout, The National Pass, & more), Coachwood Glen Nature Trail (in Megalong Valley) and Norman Lindsay Gallery & Museum (in Faulconbridge). Spend the 21st (Wed) wandering through the wild on a nature and wildlife tour. Next up on the itinerary: make a trip to Sydney Opera House, take in nature's colorful creations at Royal Botanic Garden Sydney, examine the collection at Hyde Park Barracks Museum, and get up close to creatures of the deep with a dolphin and whale watching tour. To find where to stay, traveler tips, reviews, and other tourist information, go to the Sydney visit planner. If you are flying in from United States, the closest major airport is Sydney Kingsford Smith International Airport. August in Sydney sees daily highs of 66°F and lows of 49°F at night. Cap off your sightseeing on the 25th (Sun) early enough to travel back home.